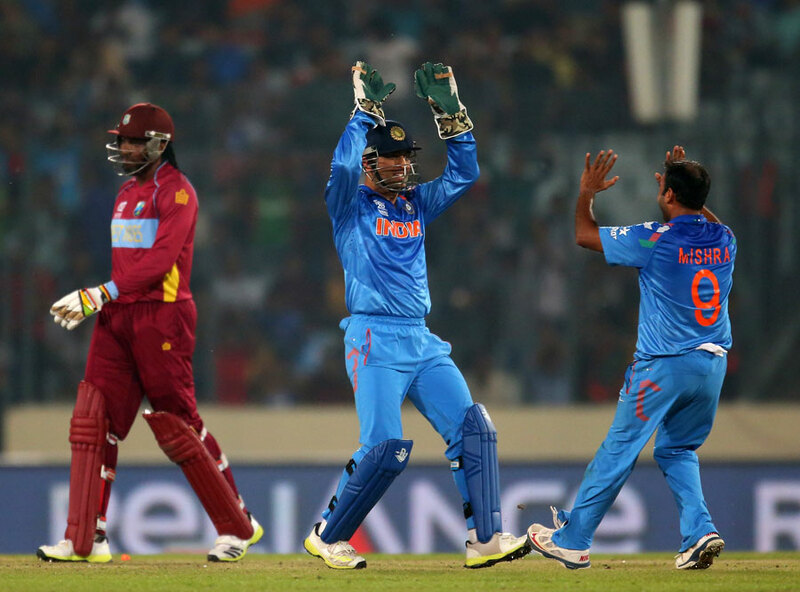 17th Match of World T20 Cricket 2014 (India vs West Indies): 17th Match Of International World T20 Cricket held between India and West Indies (IND vs WI) on 23rd March 2014, This is a group 2 match of twenty Twenty World Cup 2014. India won by 7 wickets with 2 balls remaining and India got 2 points and West Indies got zero points for the 17th Match Of Twenty20 World Cup 2014. West Indies vs India (WI vs IND): India won the toss and choose to bowl first. West Indies fails to make a good target and only scored 129 runs 7 wickets in 20 overs. India made 130 runs 3 wickets in 19.4 overs. Thus India won the match by wickets with 2 balls remaining. Amit Mishra (India) is declared man of the match. Amit mishra bowled for 4 overs and took 2 wickets by giving 18 runs with 4.50 economy. Result: India Won The Match By 7 Wickets With 2 Balls Remaining.